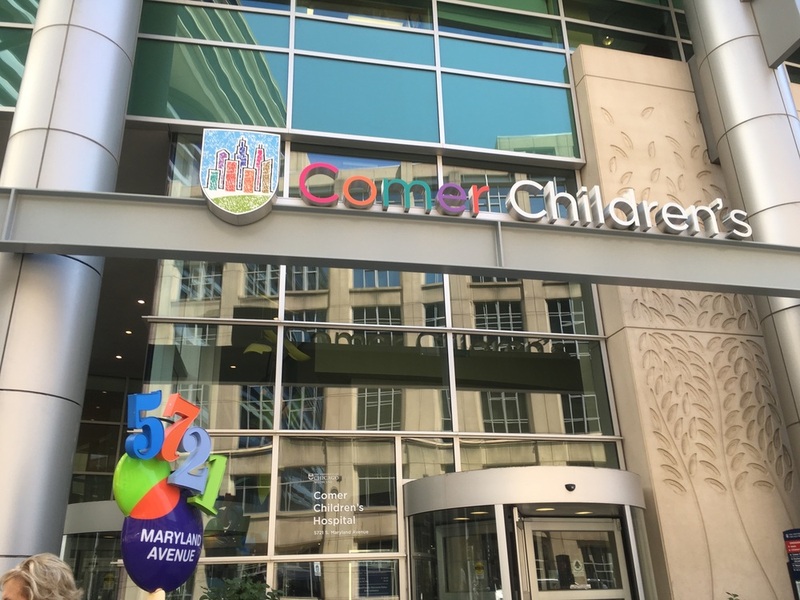 August 4, 2016 - Mary Jane Johnson (AAFH Board Member) and Yoli (President of AAFH) visited Comer Children’s Hospital and delivered 8 Alyssa Starter Art Kits (SAKs). We met with Amy Carter, MS, CCLS, Lead Child Life Specialist who informed us that they have both music and art therapy programs at the hospital. Amy said there are teens and young adults being treated there for cancer and other life threatening illnesses and she is sure these patients will benefit and enjoy the art kits. She was excited to hear about the AAFH Programs and is interested in receiving musical instruments from the AAFH. We will be delivering musical instruments next month that include acoustic guitars, music stand, electronic keyboards and a washboard percussion instrument! We thank everyone who is making it possible to continue preparing the SAKs for more teens and young adults. We also greatly appreciate the donated musical instruments we have received so that we can gift them to the hospitals we have a relationship with. All this ensures that the young patients at these hospitals can explore art and music!